EAST MARLBOROUGH – This weekend a cast of Unionville High School students in the Unionville-Chadds Ford School District will be donning white t-shirts and leather jackets along with poodle skirts and bobby sox for the production of the hit Broadway musical, Grease. Grease is the story of the budding romance of two high school students set in the 1950’s. In the summer of 1958, high school senior Danny Zuko, meets Sandy Dumbrowski during summer break. As summer comes to a close, so does their relationship as the teens lament about whether their love will last. Danny, a greaser and leader of the leather-clad Burger Palace Boys gang, is shocked when he runs into Sandy during his senior year at Rydell High School. The musical highlights the trials and tribulations of Danny and Sandy’s high school romance. The musical concludes with the transformation of ‘good girl’ Sandy as she wins Danny’s heart with the help of the school’s female gang, The Pink Ladies. Grease, based on the musical by Warren Casey and Jim Jacobs, got its name from the subculture of teenagers in the 1950’s known as ‘greasers’ with their slick-backed hair and their passion for cars and rock ‘n roll. Grease debuted on Broadway in 1972. In 1979, it became the longest running show in the history of Broadway. The musical was later developed into a movie which premiered in theaters in 1978. Unionville High School junior, Abu Akki, portrays Danny in the school’s production of Grease. Akki has performed in several Unionville High School productions including Guys and Dolls and Pink Panther. Akki, along with UHS senior, Jackie Tremblay who plays Rizzo in Grease, have been recognized at the state level for their vocal abilities. Unionville High School junior, Julia Madrak, plays the coveted role of Sandy. The UHS portrayal of Grease includes a cast of 65 students plus a host of technology and stage crew members. The cast has been working on the musical since November. Grease is directed by Patton Middle School Family and Consumer Science teacher, Betsy Ballard, who is no stranger to the musical production world. “I focused on musical theater in college and directed my first high school musical while doing student teaching at a magnet arts program,” recalls Ballard. This is Ballard’s second stint directing a musical at Unionville High School. Putting on a production like Grease enlists the work of many behind-the-scenes hands to ensure the musical’s success such as Musical director, Yvette Hershey, Choreographer, Amy Heffner, and Pit Director, Scott Litzenberg. Grease is a ‘must see’ for any musical lover. 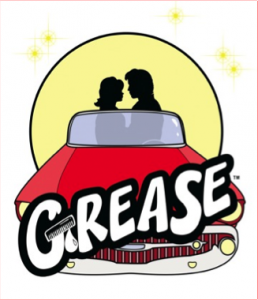 Unionville High School’s production of Grease will be held on March 6 through March 8. All shows start at 7:30 p.m. in the Unionville High School Auditorium, 740 Unionville Road, Kennett Square, PA.
Tickets are available at www.Showtix4u.com and also at the door on the days of the show.